It is a plugin many of us may be familiar with: FlyWithLua. On its own, the plugin is not of much use for the average user, but for the skilled, there is a mountain of untapped potential to be exposed in a multitude of ways. 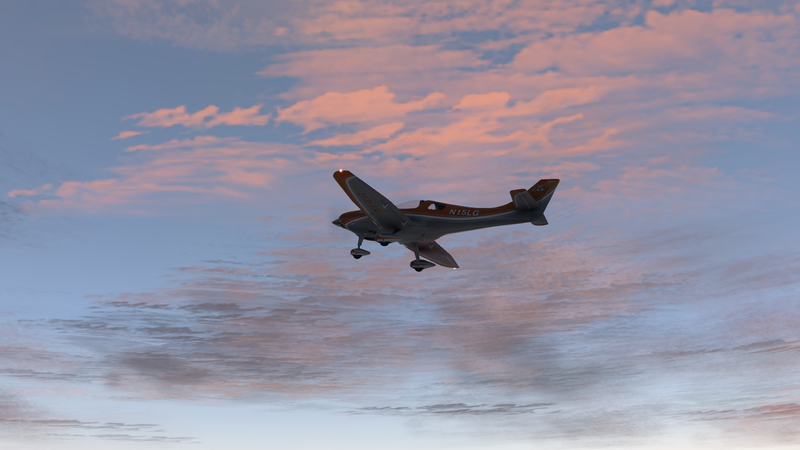 From complete weather plugins to visual tweaks, and from flying assistance to frame rate improvements, the plugin has given users the ability to enjoy X-Plane far more than could be imagined without it. The plugin runs on the programming language Lua, that allows users to build plugins using an easy-to-understand language and structure, and can be embedded in a range of applications. "Hello and thanks to all friends here using FlyWithLua! 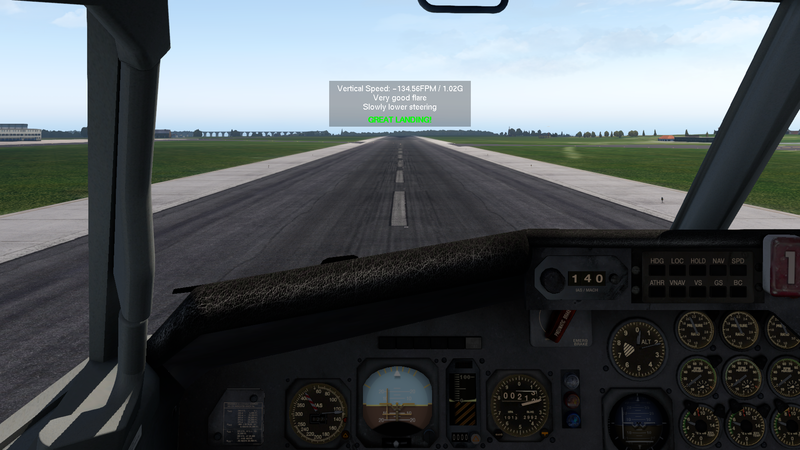 "I started to develop FlyWithLua many years ago and the reason was, that I was not satisfied with the way X-Plane 9 sets the joystick assignments. So I decided to create a tool to automate the simulator with maximum freedom and minimum needs to learn. "Today FlyWithLua is much more than a configuration script to X-Plane. The usage is very popular and X-Plane 11 still takes profit of this. But for my personal life there is no more time to spend on my hobby X-Plane. I became a technical trainer for industrial marking systems (laser marking and labeling solutions). My new job takes all my time. I'm totally satisfied with my situation. But there is no time left for the development of FlyWithLua. "FlyWithLua has reached a next level supporting virtual 3D world. I'm very proud to give my little baby (in fact it' might be more a teenager today ðŸ˜‰ ) in the hand of Bill Good. He is not only a good friend to me, he has the skill and the equipment to carry on the work on this product. Bill will be the new leader of the FlyWithLua development team. Call him (his nickname is Sparker) to help him keeping the code up to date and implement new features for X-Plane 11. "At the very beginning I made a deep thought on how to publish my little project. I decided to give a MIT licence open source software to all of you. These days it gets clear that this was the right decision. It makes sure that FlyWithLua will stay free of charge and a new team leaded by Bill can carry on working on it. "So if you like to say thanks for this (hopefully) great and open piece of software, feel free to write a comment here. Please do not be afraid if I wonÂ´t answer to you. My time is really rare. "My highest wish to you all is to support Bill as the new main developer, have an eye on the "next generation" and if something gets wrong with your personal FlyWithLua installation, first have a look into the support forum. Bill needs his time to "make the software even greater", and not to answer questions that are asked hundreds of times before. With this in mind, Threshold would like to say thank you Carsten, for your dedication to building such a wonderful plugin, and giving X-Planers the ability to make leaps and bounds in developing some wonderful additions to X-Plane. FlyWithLua allows users to access an awful lot of 'under the bonnet' items in X-Plane that would otherwise such as private datarefs, and build complex additions to the base simulator. One great example is Enrico del Bono's FSEnhancer, that is driven almost entirely by FlyWithLua, except several textures in the bitmaps folder of X-Plane. We covered a No Money Monday on FSEnhancer some time ago, and it is safe to say V0.6 is looking promising - thanks in part to FlyWithLua. Further plugins include the 3jFPS-wizard, which changes these private datarefs on the fly and with some advanced coding, smoothes out the frame rate; water texture modifications; joystick parameter modifications; aircraft modifications; and many more. The plugin's simple folder structure and the 101-page manual means anybody can make something with FlyWithLua, but the best part is of course, the fact Carsten has done all of this free of charge for the end user. Thanks must also be expressed to Snagar, William B. Good and Ingo Alm, who have contributed to the coding of FlyWithLua.